It's time to speed up! When the going gets hot, it's time to speed up! 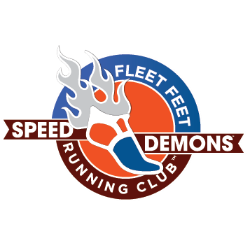 After Memorial Day weekend and throughout the summer, join the Fleet Feet Running Club Speed Demons and take your workout to the track. Join us for a wide variety of structured and coached speed workouts. Towel off after the workout and enjoy some social time with your fellow athletes. The 2018 workouts are presented below. The where and when detail on the 2019 program will be posted soon.